Growing up in the 1970s, I watched the heck out of Hanna Barbera cartoons. You know, stuff like Captain Caaaaaaveman, Scooby-Doo, The Flintstones and the Wacky Races among others. More recently, I enjoyed watching Adult Swim bring back classics like Space Ghost and Sealab 2020, with their own unique spin. 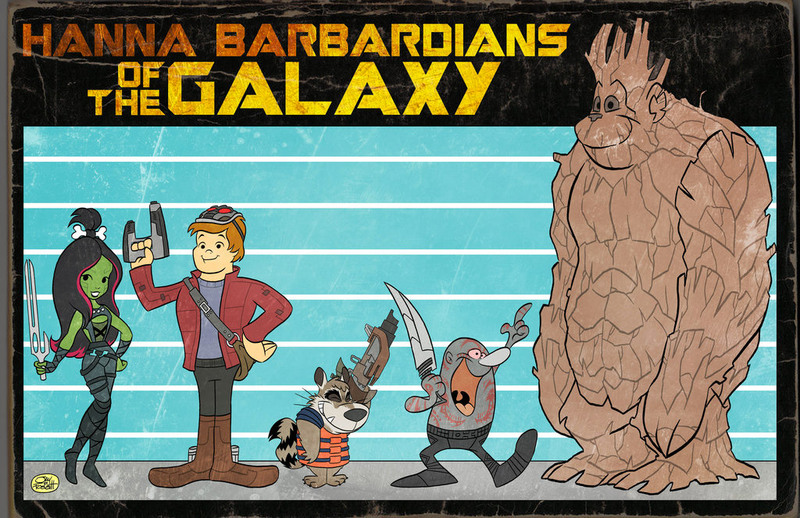 Now one talented geek has envisioned what the Guardians of the Galaxy crew might have looked like if they were illustrated by Hanna Barbera. Great job, Jay. While I doubt that Disney XD’s upcoming Guardians of the Galaxy cartoon will look like this, I kind of wish that it would.